Styled with jimmy skirt . Cozy up in ultra-soft, luxurious cashmere. Designed with a comfy, relaxed silhouette, the Lana is so soft it’ll make you want to take a sick day so you can snuggle up in it on your couch. This is my favourite go to sweater. It is so soft, so cozy, and looks so good with jeans, dress pants or leggings. Usually with sweaters or coats from aritzia I size down just cause they run a bit larger but overall I’m in love with it!! 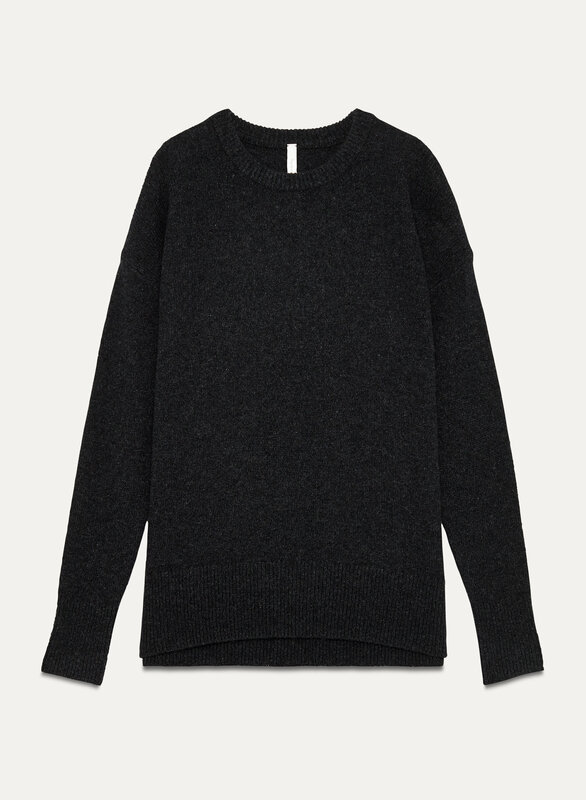 This sweater has a nice relaxed fit, which is what I was looking for. Very warm and soft. So beautiful love the colour!! Love this sweater! So soft! Fits true to size and the colour is great. 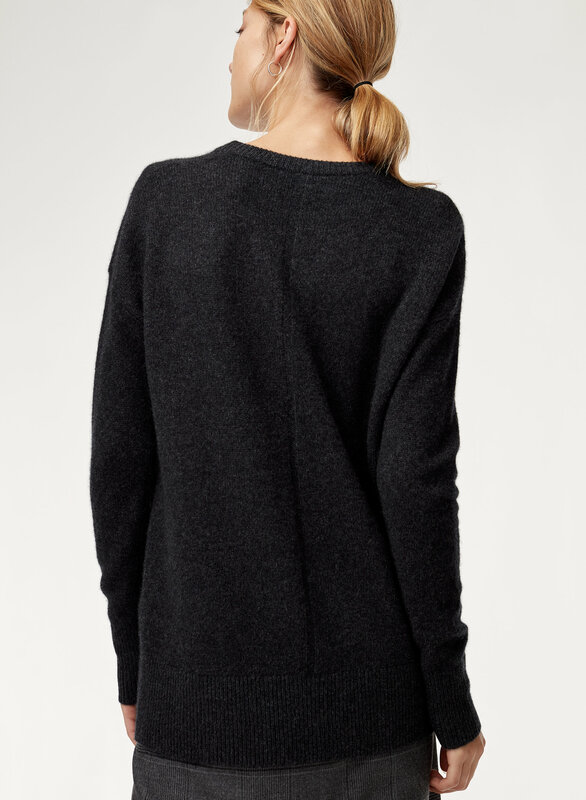 This sweater is so soft and perfectly slouchy. The detail down the back is a nice touch. Perfect camel colour!